If you've seen any of my recent posts, you'll know I've reviewed both the Bourjois Happy Light Luminous Serum Primer (£10.99) and the L'oreal Lumi Magique Primer (£9.99). Seeing as though both products are very similar, I thought it would be useful to do a comparison post. Both primers come in slim bottles with pumps that actually dispense the right amount of product. They also claim to leave a light weight luminous finish to the skin and increase the longevity of your makeup. From my experience, the Bourjois Happy Light Serum primer offers a bit more luminosity and is easier to work into the skin. 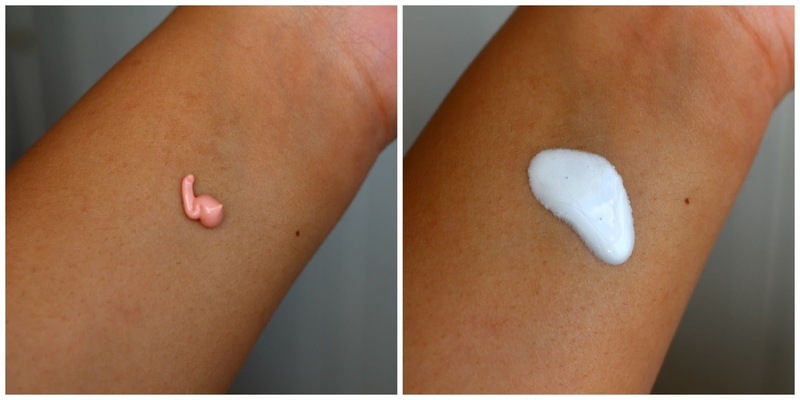 The L'oreal Lumi Magique primer is a little tough to blend in comparison. I also like that the colour of the Bourjois one doesn't interfere with the rest of makeup. I do find that, since the L'oreal primer is a white liquid, it does register as slightly ashy on my medium skin. The main difference between the two products is the texture. Happy Light is more of a cream texture whereas Lumi Magique is more fluid. I think the L'oreal primer is more versatile in that you can use it all over, or just on the high points of the face for a shimmer free highlight. It would also come in handy if you have a foundation that's slightly too dark for you as the colour would lighten the shade. They both made my makeup last equally well, but my makeup did look different depending on which one I used. I can't quite put my finger on it, but my skin just responded better to the Bourjois primer. I think it really depends on what you're after. I'd recommend the L'oreal primer over the Bourjois one if you have oily to combination skin but still like a glowy base. It's also a great primer for fair skins. If you have dry skin or a deeper skin tone, then the Bourjois one would be more suitable for you. 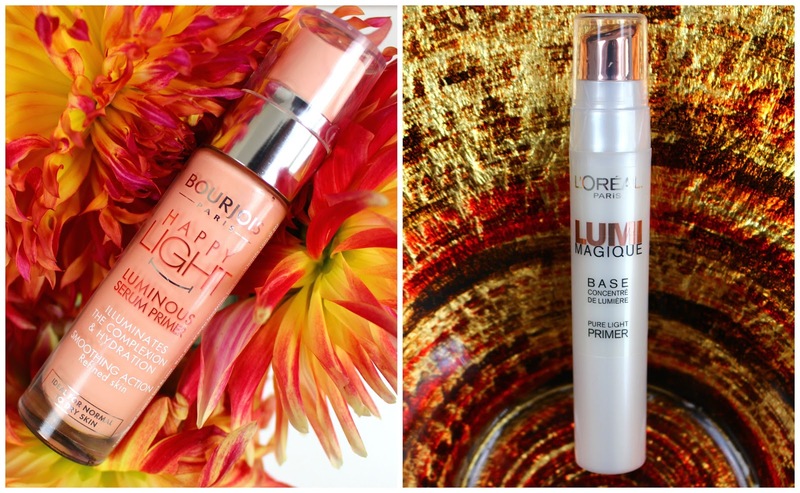 If I had to choose, I'd pick the Bourjois Happy Light Luminous Serum Primer over the L'oreal Lumi Magique Primer, but they are both good products. I prefer the finish of Bourjois but I do appreciate the versatility of the L'oreal primer. 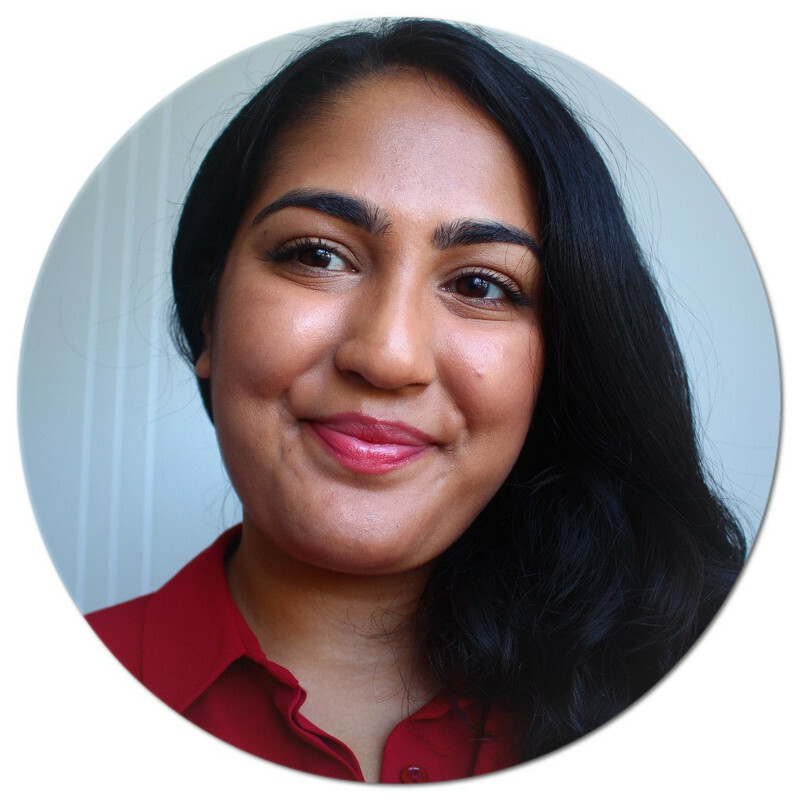 What's your favourite drugstore primer?